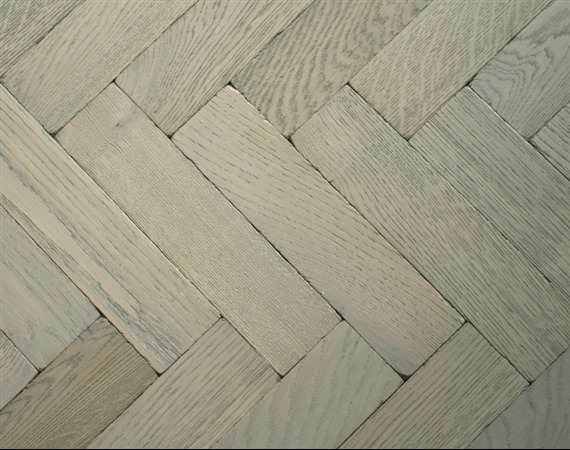 Broadleaf Milano Vintage Oak Parquet Floors are stunning and a great modern interpretation of the classic parquet wood floor. A whole lot more than just a white oak parquet floor they are on the one hand evocative of the great British seaside, on the other Italian contemporary design, but whichever way you see them or use them they will undoubtedly look stunning and attract plenty of admiration. 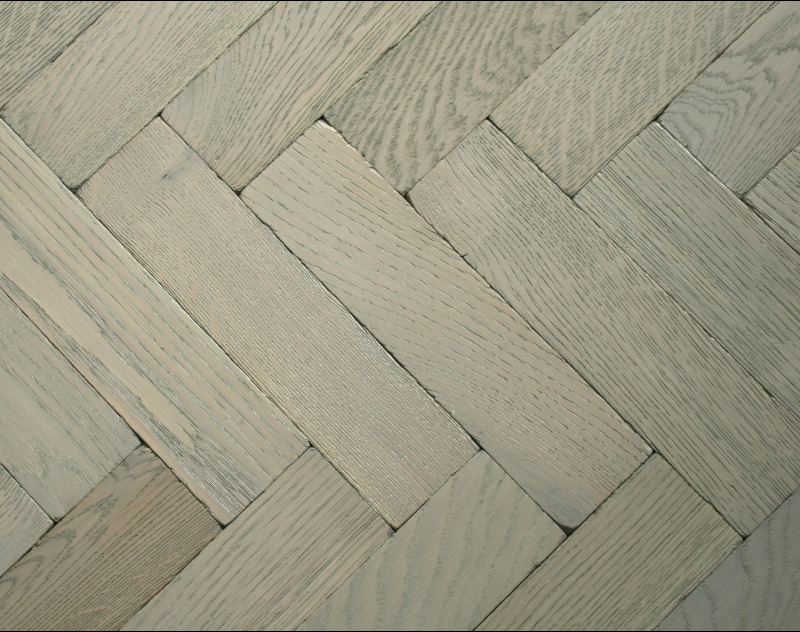 Milano Vintage Oak Parquet Flooring has softly worn edges, a gently distressed patina and a slightly textured aged surface which combined with its beautiful multi tonal colour creates an informal yet sophisticated floor. Made from the finest European Oak in Elegance grade which features some small knots it is beautifully machined and perfectly proportioned. Milano Vintage Oak Parquet Flooring is available in two sizes of oak parquet block that can be used to create an exciting array of classic designs or distinctive oak chevrons whose geometric pattern is this seasons top trend. See the table below for options and dimensions. Semi finished, Milano Pullman Vintage Oak Parquet requires no sanding and will need to be topcoated after installation with 2 coats of our Light Broadleaf Hardwax Oil to create a natural looking, hard wearing finish that is easy to maintain.